Dr. Gary McClain of http://www.JustGotDiagnosed.com today released a set of ten tips to help people aged 65 and older take charge of their lives and remain healthier. Sure, the later years of life can present new health challenges. But being proactive to manage your health and your healtcare can go along way toward maintaining optimal physical and emotional well-being. Dr. Gary McClain today released a set of ten tips to help people aged 65 and older take charge of their lives and remain healthier. 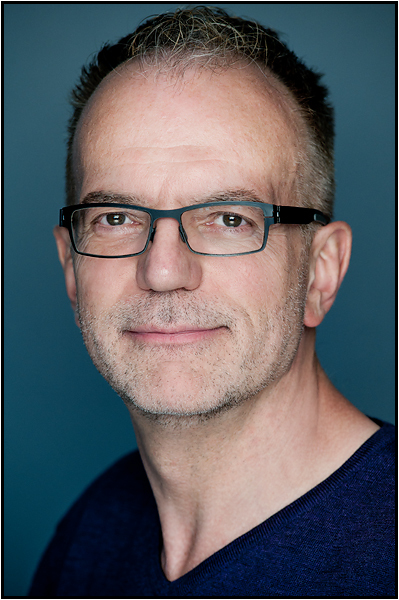 A specialist in the emotional impact of chronic and catastrophic illnesses, Gary McClain, PhD, developed JustGotDiagnosed.com to address a serious need he saw going unfulfilled; namely, a way for patients to take control of their lives with the goal of a longer, healthier life. 1. Get informed. Take the time to gather information about your health. Do your research on any conditions you have been diagnosed with and understand how they are treated. Know the alternatives. Being your own advocate begins with being armed with the facts. 2. Get out of your house. Sometimes it just feels a lot easier to stay home and watch TV. But isolating yourself can leave you feeling drained and depressed. Find some ways to get yourself out of the house at least once every day – take a walk, see a movie, get together with friends or family. On those days when you don’t go out, reach out to someone by telephone. 3. Get involved in your community. Have you ever become so involved in caring for someone else, or doing something that you enjoyed, that you forgot everything else? Getting involved in activities where your time and talents – and commitment to a regular schedule – are both appreciated and needed can add new meaning to your life, as well as be energizing and healing. 4. Keep your doctor informed. Let your doctor know exactly how you are feeling. Keep a list of any symptoms you may be experiencing between appointments, as well as any questions you have. Let your doctor know any prescriptions you are taking, as well as over-the-counter products and herbals. Bring your list with you when you see your doctor and don’t leave his/her office until you have discussed everything. 5. And ask your doctor to inform you. Ever leave your doctor’s office wondering why you were scheduled for a test, or why something is being prescribed? Have any questions about your medications? Make another list while you are in your doctor’s office – of the answers to your questions. If you think of something when you get home, don’t hesitate to call. 6. Ask yourself: Where am I really hurting? Do you need to call your doctor or you just having one of those days that feel long and empty. Going to the doctor can fill up an afternoon, but it is not the best use of his/her time or yours. Find some new friends and activities to take up those lonely days, or consider talking to a counselor or therapist to help you cope with loneliness. 7. Be willing to ask for help. It is great to be independent but there are times when a little help can go a long way toward helping you to preserve your energy so that you can be your best possible self. Are there things around the house that you need help with? Don’t be too proud to reach out for help– from your family, your neighbors, and community resources. 8. Remember that your adult children are coping with your aging process. Your adult children may have trouble talking to you about subjects that are uncomfortable, like how you are feeling, or they want to get too involved and tell you what to do. Watching parents age can make adult children feel helpless and nobody wants to feel that way. Avoidance, or being overly controlling, are common ways of coping with helplessness. This may require some patience from you, and gentle insistence that you are in charge. 9. And your adult children are coping with their own aging. Keep in mind that they are also getting older, and another reason why they might be feeling helpless. They are watching you to get an idea of what might lie ahead. Can you show them the right way to get older? 10. Take responsibility for a healthy lifestyle. Maintaining your health isn’t just about the next office visit and medication dosage. It is never too late to break bad eating habits and increase your exercise. Start by talking to your doctor about the best way for you to get started. Look for classes and support groups in your community to help keep you on the path. McClain concluded: "Sure, the later years of life can present new health challenges. But being proactive to manage your health and your healtcare can go along way toward maintaining optimal physical and emotional well-being." Dr. Gary McClain is a licensed counselor, educator, and author who specializes in working with individuals who have been diagnosed with chronic and catastrophic medical conditions, focusing on issues that include coping emotionally, gathering information, making lifestyle and treatment decisions, managing relationships, and communicating with healthcare professionals. As "Dr. Gary," he blogs on patient social networking boards on http://www.AllianceHealth.com. 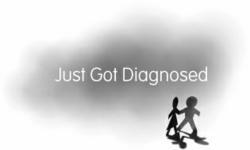 Founded and developed by Dr. McClain, JustGotDiagnosed.com offers information, guidance and inspiration for newly diagnosed patients, their caregivers, and healthcare professionals. Visit http://www.justgotdiagnosed.com.